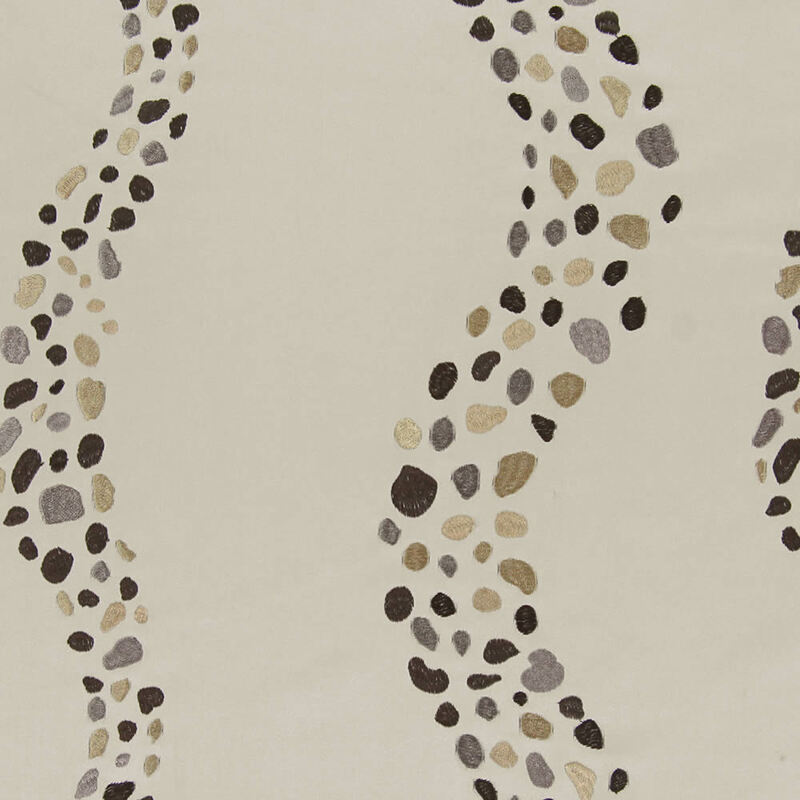 Shimmering taupe fabric featuring a mocha, brown, grey and beige embroidered design. 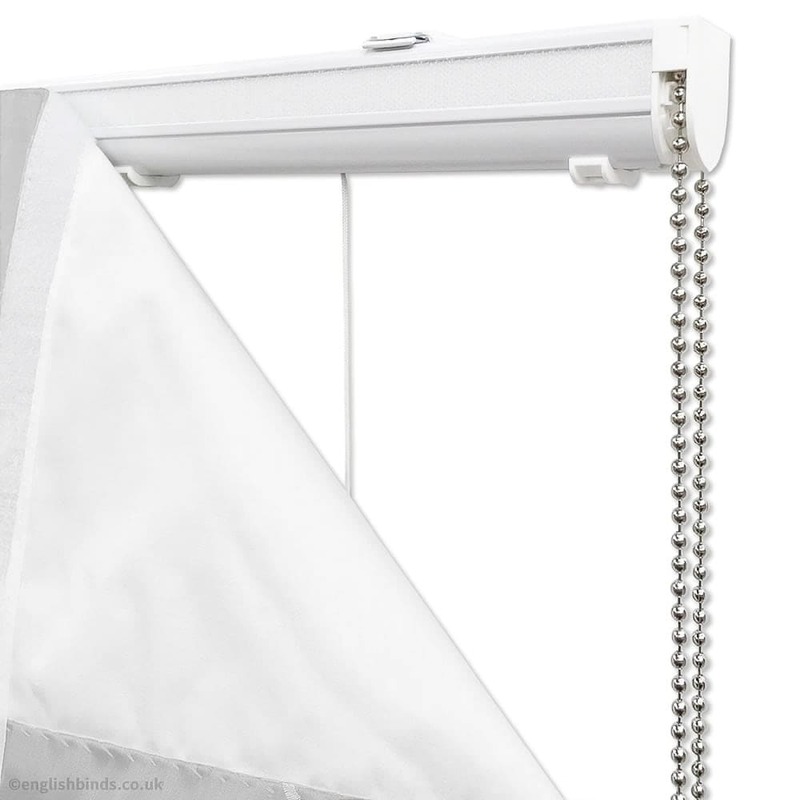 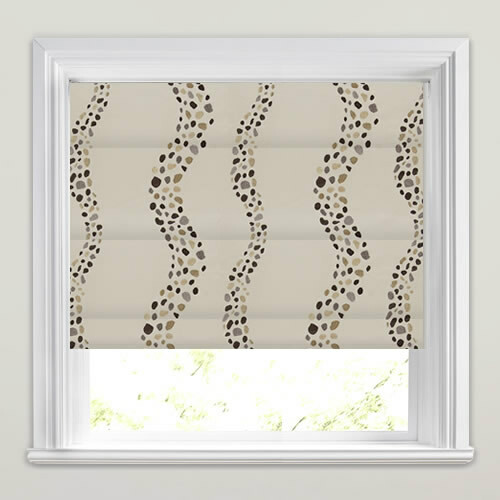 Like pebbles on a meandering path the unique design of these beautiful luxury made to measure roman blinds will add detail and soothing hues to any window. 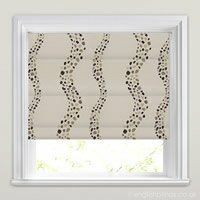 The blinds were made in a timely manner and as ordered. 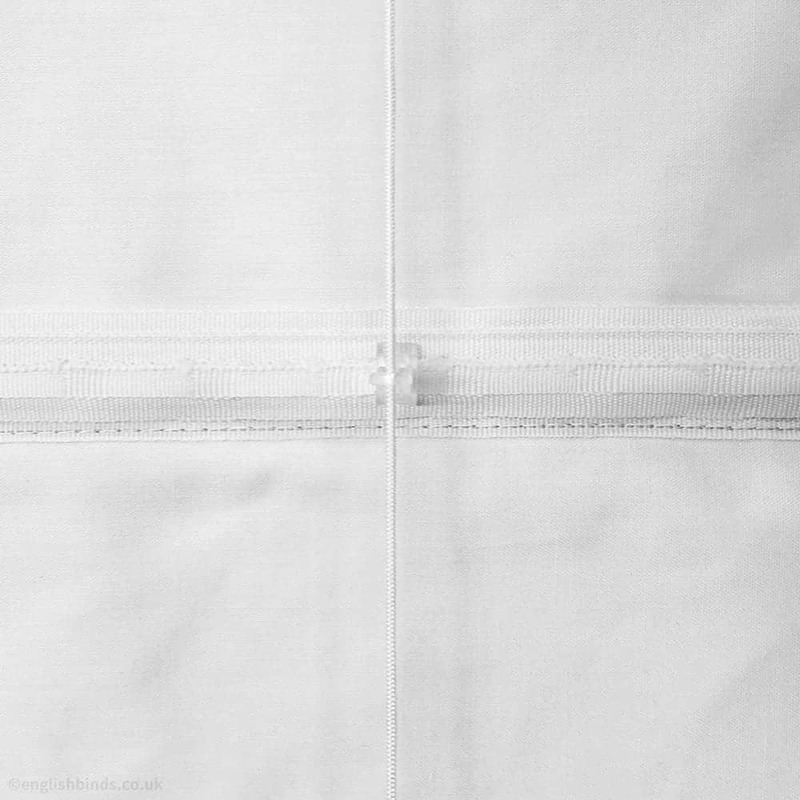 Good quality delivered safely and well packaged.